SAP PRESS is the leading publisher of SAP books and e‑books. All of our books are available in DRM-free e‑book format for download or for online reading. Access your e‑books anywhere, any time, on any device! You can access every e‑book 24/7 for online reading or as a downloadable PDF. The vast majority of our e‑books are also available in EPUB (for iBooks and most e‑book readers) and MOBI formats (for Kindle). Our e‑books contain a personalized watermark, but are not protected with DRM technology. They are equipped with links for convenient navigation within the e‑book and to external websites, if applicable. Most of our e‑books are fully colored. For more details about a specific e‑book, please consult the respective book’s catalog page on our website, under the “About the E‑Book” section. When you buy an e‑book, it will be available for online reading or for download for at least 12 months following the date of purchase. During this time, you can download every available format up to 5 times. 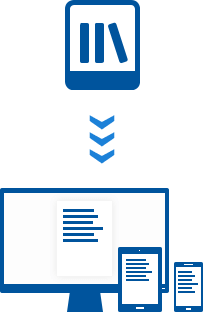 You can print your e‑book, create bookmarks or comments, and copy it to an additional device—but only for personal use. You buy an e‑book in exactly the same way as a printed book: Select the e‑book edition for a title, add it to your shopping cart, register, and submit the order. Immediately after payment has been completed, you will receive an e‑mail with an activation link to your personal library. (If you preorder a book, you will receive the activation link on the day the title becomes available.) In your library, you will find your e‑book ready for download. With your account credentials for www.sap‑press.com, you’ll have 24/7 access to your library from any computer or mobile device. You’ll find comprehensive information and instructions about e‑books in our help section: Help ▸ E‑Books. Also, our customer service is happy to answer your questions!